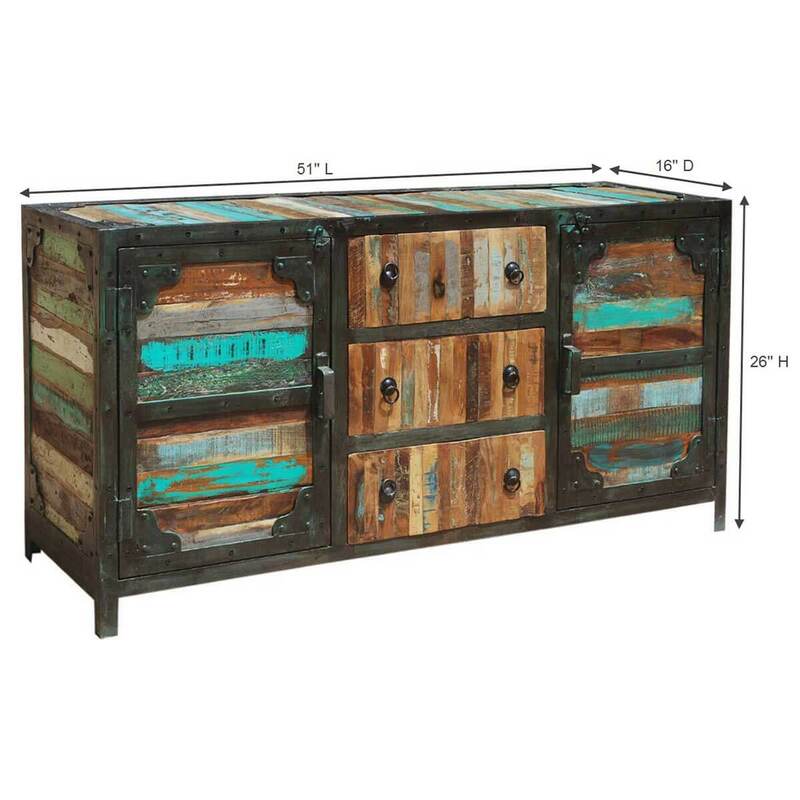 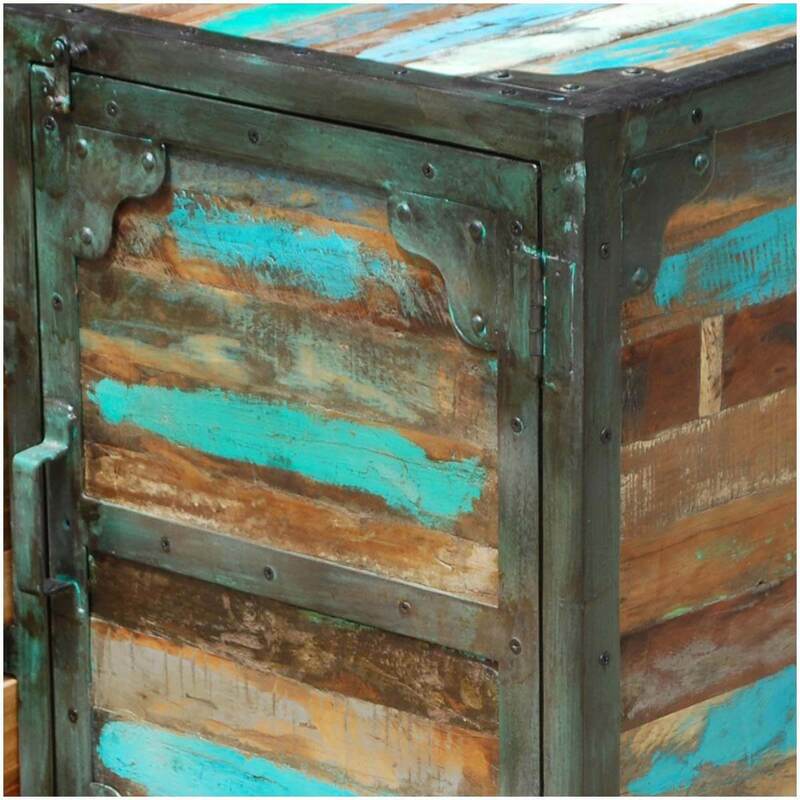 The Allenhurst Rustic Reclaimed Wood 3 Drawer Industrial Buffet is in the hottest new trend in interior design. 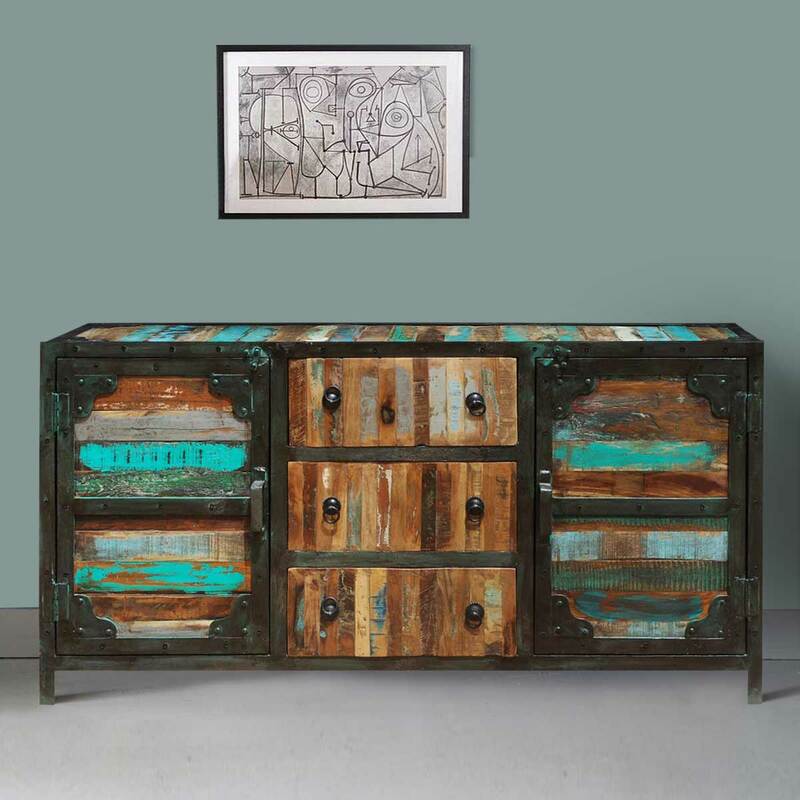 This bold and eclectic sideboard will surely bowl 'em over with its wonderful colors and solid iron frame. 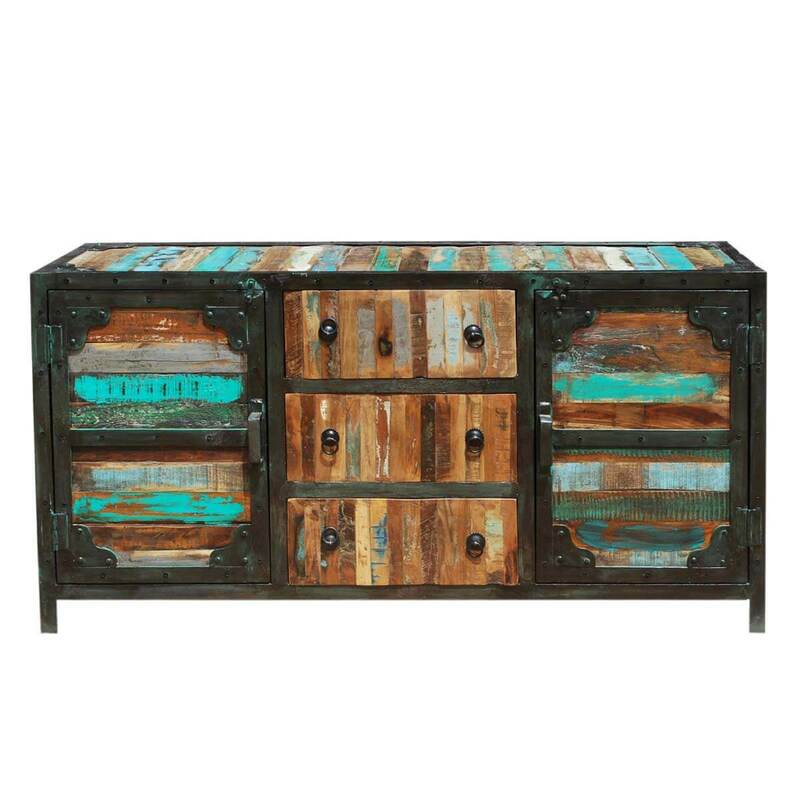 There is a lot of storage space that this reclaimed wood buffet offers with its three wide drawers and two large side cabinets. 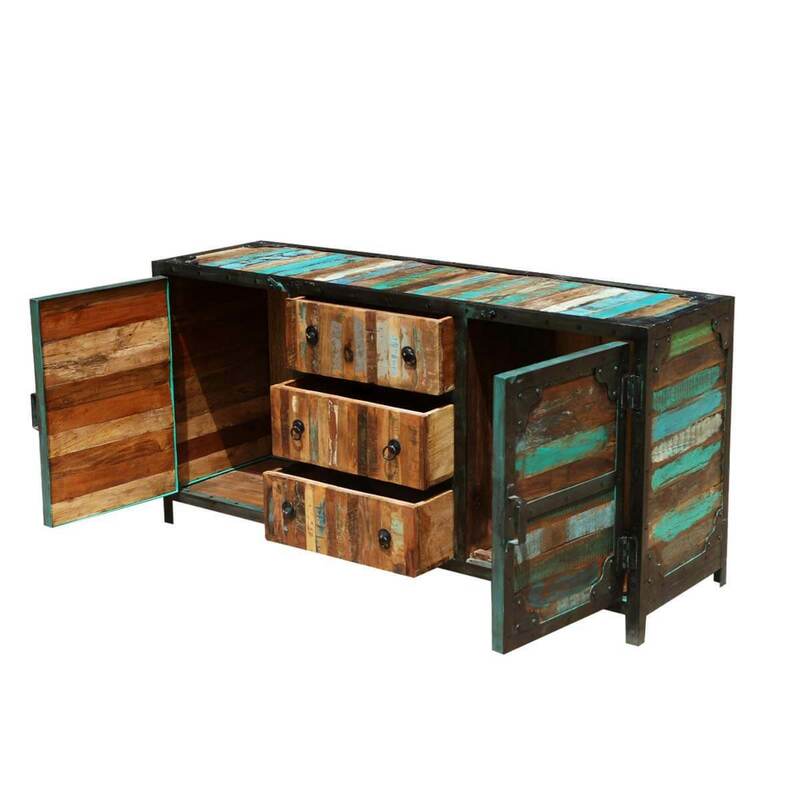 Each drawer has two wrought-iron ring pulls. 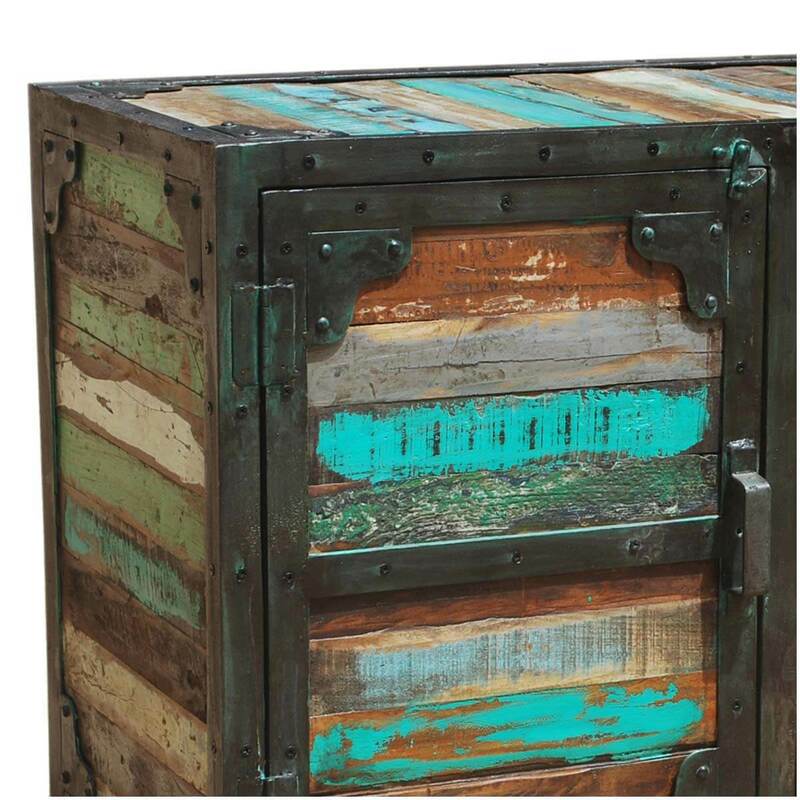 The doors and sides are reinforced with a decorative iron frame, complete with triangular corners and rivets. 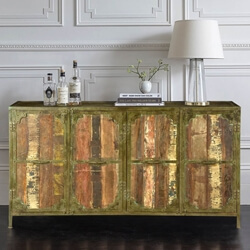 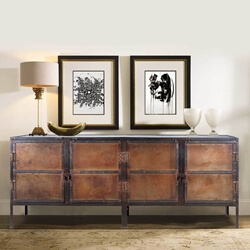 The perfect combination of solid wood and iron infuses a great deal of beauty and strength to this credenza. 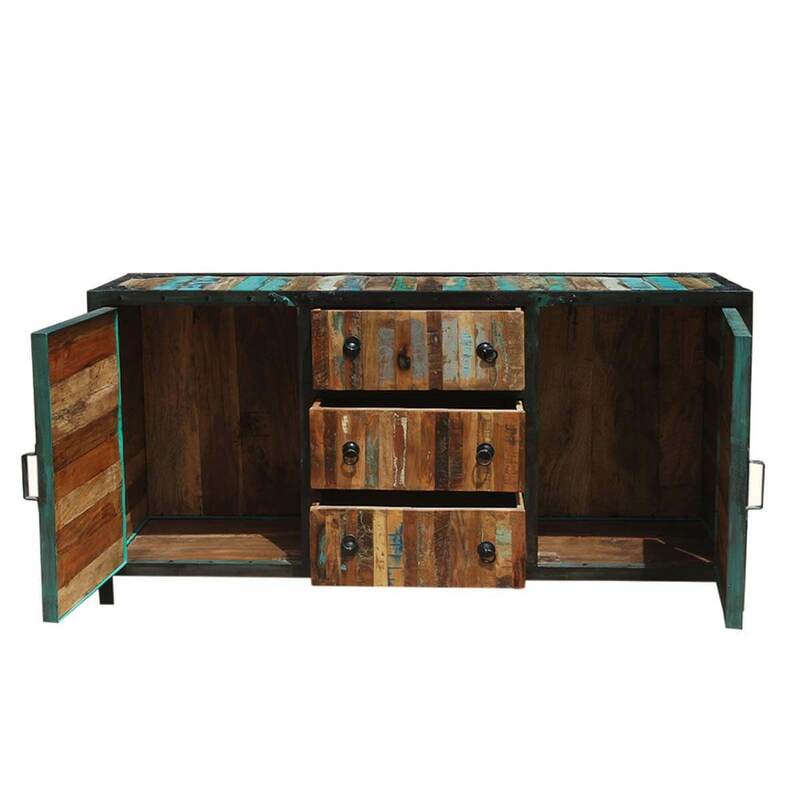 You'll be eco-smart because the cabinet is made of solid reclaimed wood. 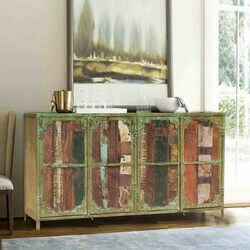 Each piece of old wood is carefully selected keeping the texture, wood grain, and color in mind. 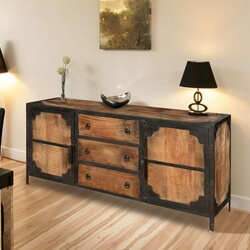 Old wood carries a sense of history and a quality that's higher than any new wood. 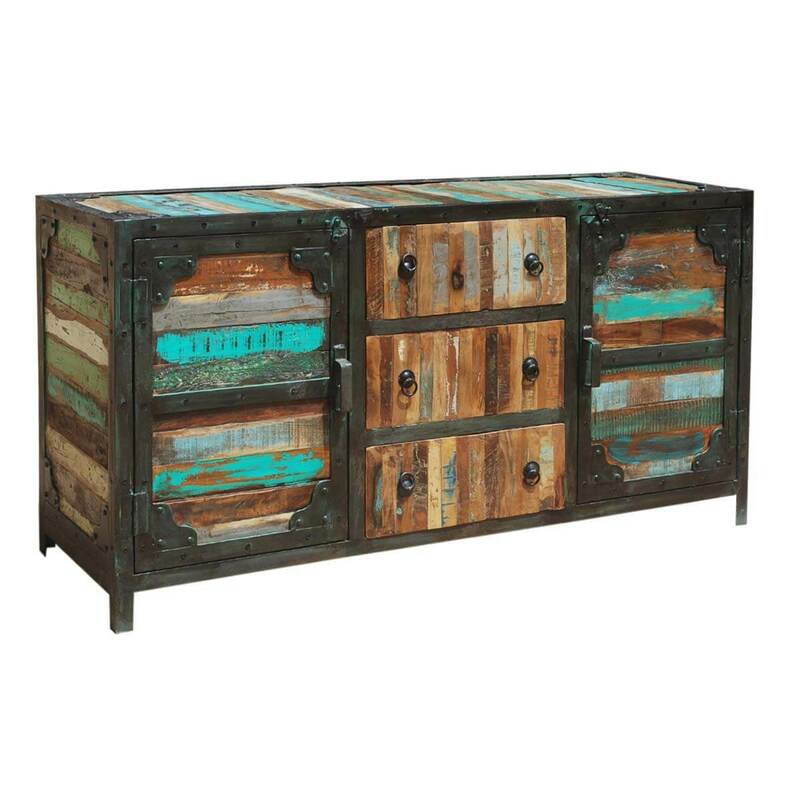 The rustic buffet stands off the floor on short iron legs.